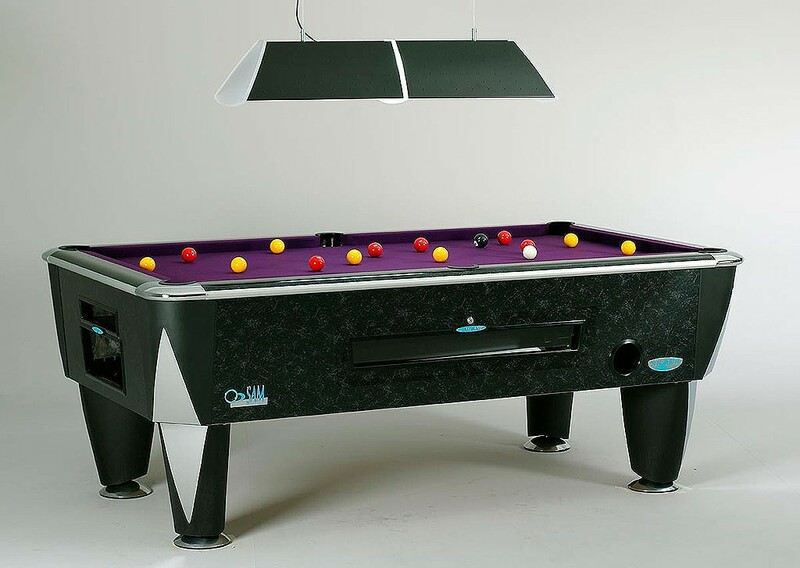 The entertainment of pool giving you more profits! 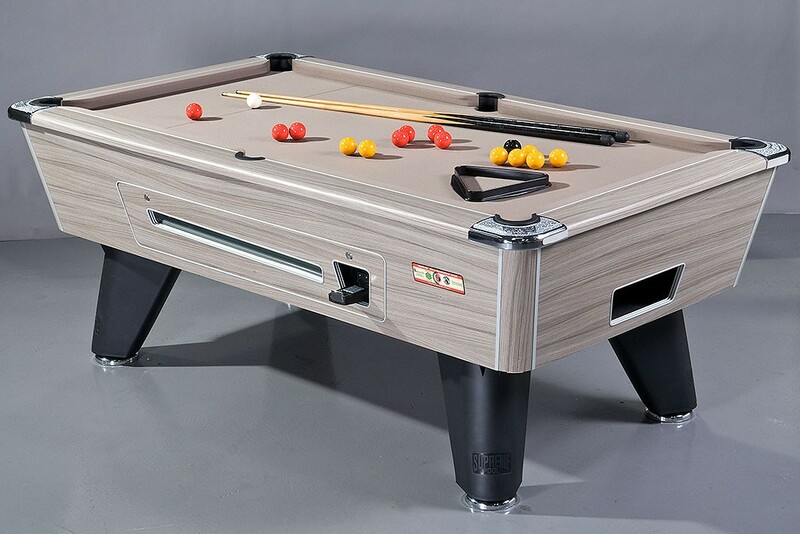 … No contracts required! 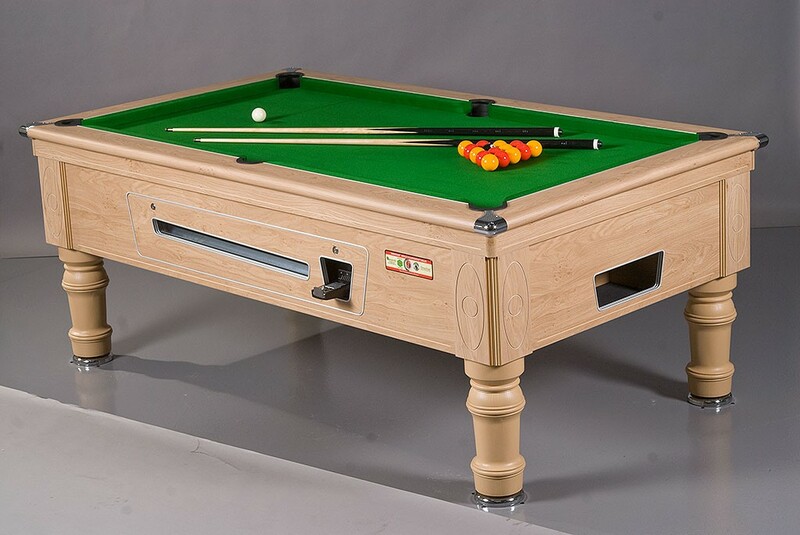 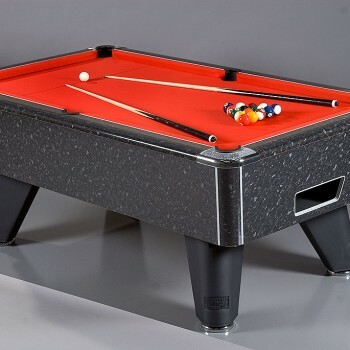 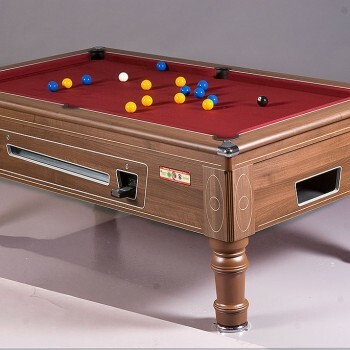 Get the very best Pool Tables for your pub, club, student hall and all other social venue. 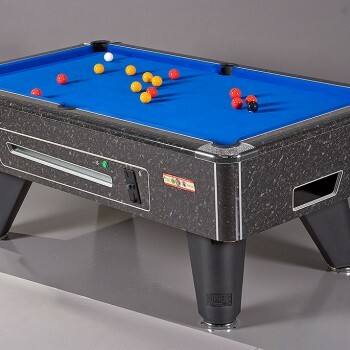 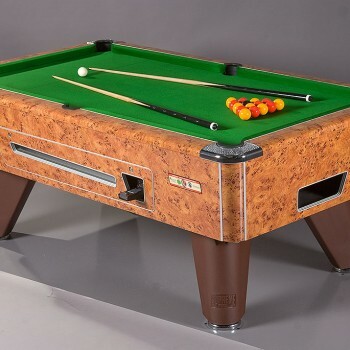 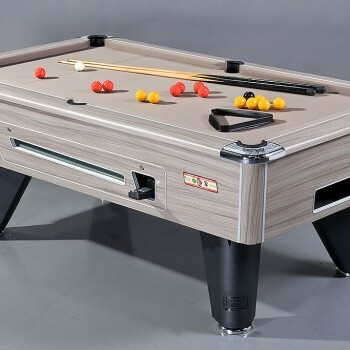 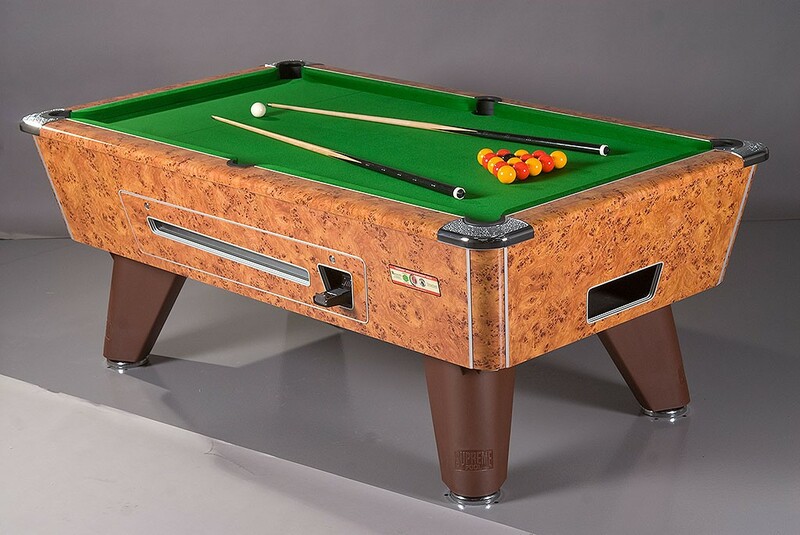 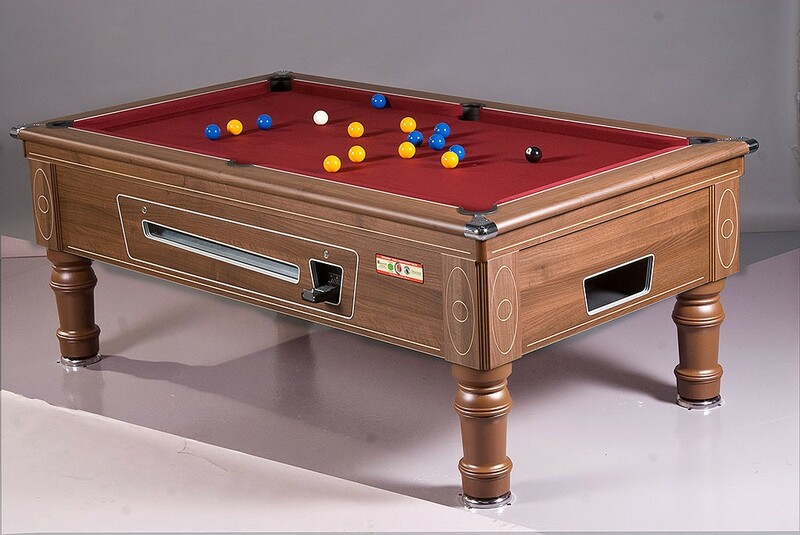 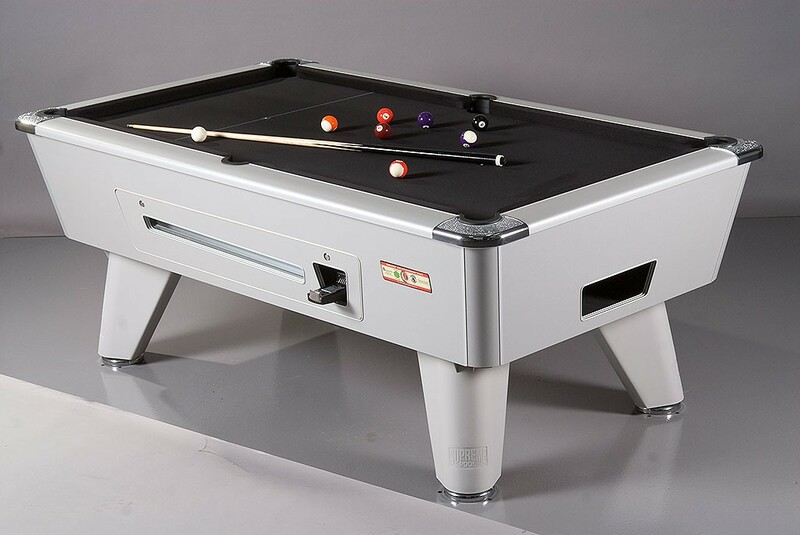 We supply both Sam and Supreme pool tables for their combined reliability and good looks. 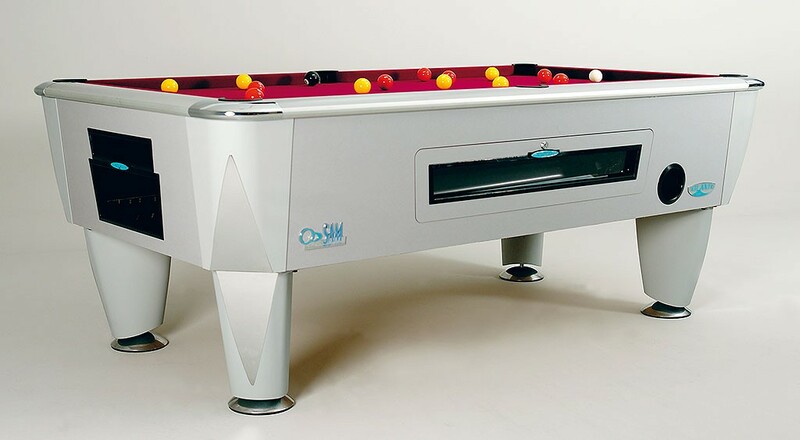 These can be supplied with either mechanical or electronic coin acceptors. 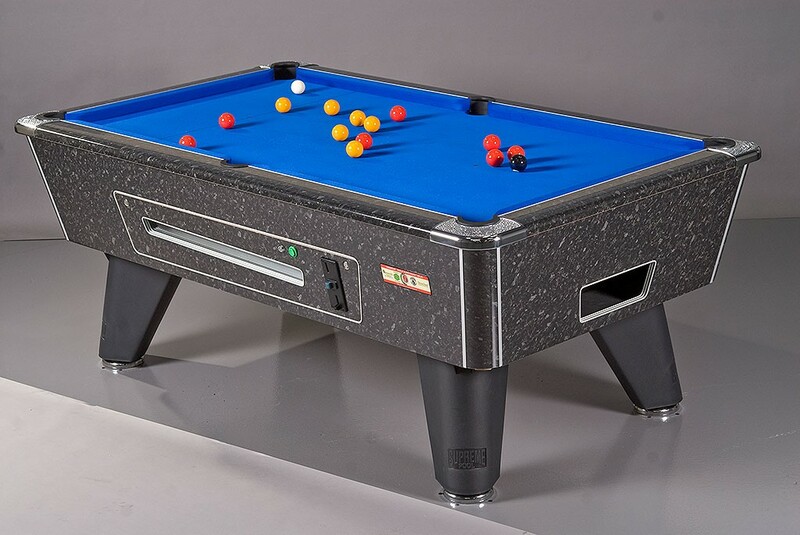 Your installation will come complete with balls, cues, cues rack, chalk and lights – plus we can supply you with a trolley if you need to move the table at any time. 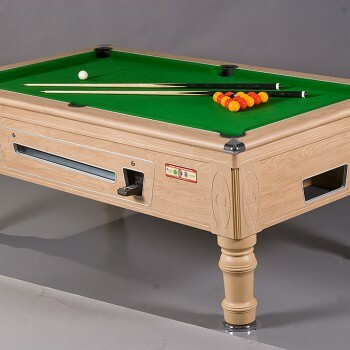 The table and cues will be serviced regularly and recovered when needed. 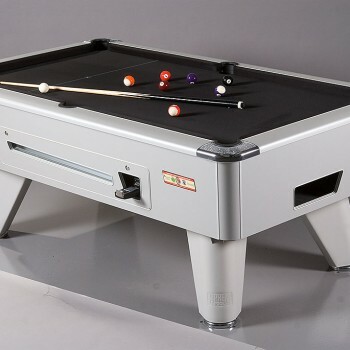 Rentals from £15 per week or on a profit share split as a guide but if you have other machines from us, there are deals to be had. 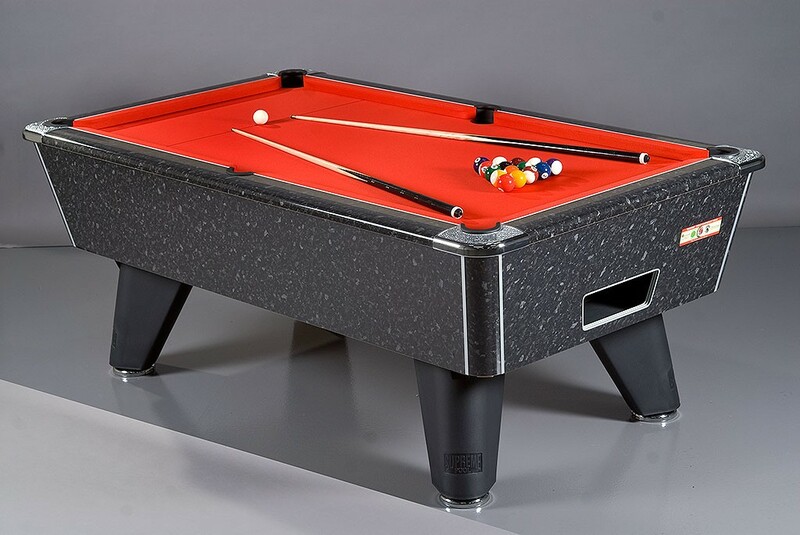 Are Pool Tables right for your venue? 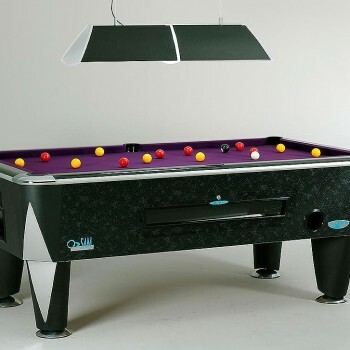 What are the license terms and liabilities of running a Pool Table at your venue? 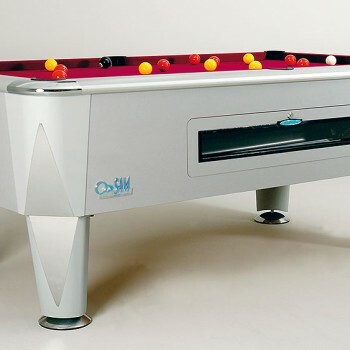 How quickly can Bug deliver a Pool Table to your venue?